At Herkules we believe a key driver for success is to have an active, structured and responsible industrial ownership approach. We are active owners with a 3-phase and 9-step investment methodology. 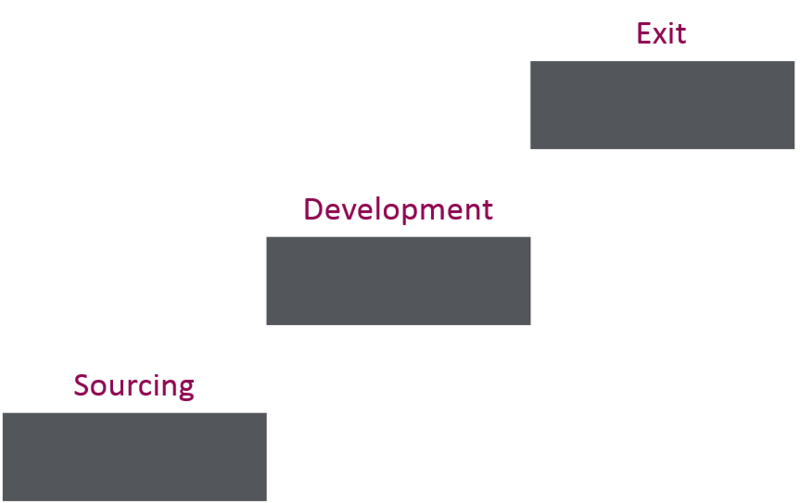 The three generic phases are: Sourcing, Development and Exit. In the following, we will explain how we have worked systematically in the first two phases with Admincontrol. Herkules’ Industry Group Services had monitored Admincontrol over several years. Herkules believes in the attractiveness of digitalized services in a proven SaaS (software as a service) model. Also, Herkules has been keen users of the Admincontrol solutions in several companies and processes. In the fall of 2014, Herkules approached the company and met with the management team. Following continued interest, Herkules made extensive analysis and evaluations, focusing on understanding Admincontrol’s key value drivers and competitive position. The transaction was signed on 18 March 2015, and completed in early April. Admincontrol is currently working on executing the value creation plan. Since the acquisition, Admincontrol has acquired its agent/partner in Sweden. This initiative should ensure closer coordination, collaboration and control and should lead to improved efficiency. We already see accelerated growth in the attractive Swedish market. With improved strategic position and value of the company, we foresee industrial interest for Admincontrol. The company has a leading position in the Nordic market, and the business model has proven to be both scalable, profitable, and successful.